Just two years ago, the Milwaukee Bucks finished 15-67. They added No. 2 pick Jabari Parker, head coach Jason Kidd and a bunch of other pieces that summer, breaking even (41-41) in 2014-2015 and grabbing a #6 seed in the Eastern Conference. In a way, the team again adds a No. 2 pick to their roster. Since Parker suffered a season-ending injury early in the season, the Bucks had to make do without him for much of the campaign, and getting him back will surely provide a boost. There was no return timetable as of July, but he should be back before long. Parker joins fellow returnee Khris Middleton. The perimeter scorer out of Texas A&M was brought back on a 5-year, $70 millon. He averaged 13.4 PPG in last season. Giannis Antetokounmpo, in-season acquisitions Michael Carter-Williams, Tyler Ennis & Milies Plumlee, John Henson, sophomores Damien Inglis and Johnny O'Bryant, O.J. Mayo and Jerryd Bayless also remain on the roster from last year. 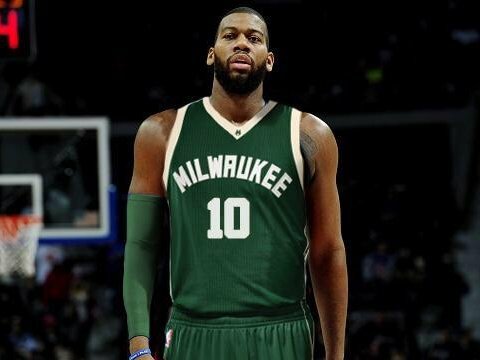 Gone are Zaza Pachulia (traded to the Dallas Mavericks), Jared Dudley (traded to the Washington Wizards) and buyout casualty Larry Sanders (who suffered from depression and mood disorders). Forward Ersan Ilyasova, on his part, was traded to the Pistons for Caron Butler (waived) and Shawne Williams (waived) to create cap room for monster acquisition Greg Monroe. The 25-year-old big man averaged 15.9 PPG and 10.1 RPG last year and was one of the most coveted free agents out there. He was a huge get for the team, which shelled out $50 million over three years to get him. The wheeling and dealing didn't stop there, by the way. The Bucks also shipped a pick to Toronto for guard Greivis Vazquez and reeled in serviceable free agent forward Chris Copeland. The Bucks will be a pain to deal with next year.